The 49ers will play in their first playoff game since 2002, amazing considering how storied a franchise they are. 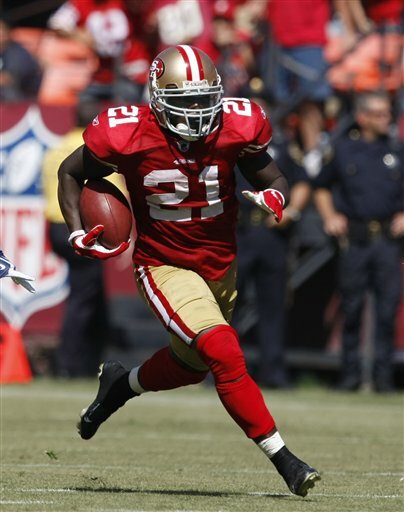 They play with a tenacious defense and pound you on the ground with Frank Gore. Quarterback Alex Smith is a game manager, he succeeds by limiting mistakes. The team that the 49ers are most like in the remaining playoff field is the Baltimore Ravens, which is interesting because 49ers head coach Jim Harbaugh and Ravens coach John Harbaugh are brothers. The Saints surprised no one when their offense lit up the field last weekend against the Lions. The Saints are near unstoppable at home but they are a bit more vulnerable on the road, particularly outdoors. The weather will be comfortable in San Fransisco however so Jim won’t have the cold weather advantage that his brother John will have. Defensively the Saints will give up points but the 49ers aren’t exactly the type of offense that lights up a scoreboard. They’ll need to pace the offense with the ground game and try and set up play action to get tight end Vernon Davis and wide receiver Michael Crabtree involved. It’s also crucial that the 49ers offense does not commit any turnovers. Drew Brees will take advantage of every mistake that you make. The 49ers handled the ball well during the season but this is the playoffs and the Saints defense is postseason experienced. The 49ers were also ball hawks on defense during the regular season but again this is a playoff game against the New Orleans Saints. Drew Brees is as efficient as they come. As I said last week the Saints have so many weapons and you saw firsthand if you watched the game against Detroit. You can take Pierre Thomas and Marques Colston out of the game but you still need to account for Jimmy Graham, Darren Sproles, and Devery Henderson. The 49ers are stacked on defense but even they may not be able to handle this Saints offense. One thing I do know is that the Saints aren’t going to score 42 points this week when they play the 49ers defense in San Fransisco. The question will be whether or not the Niners can hold the Saints to enough points to keep them in the ball game. At the end of the day I don’t think they can. It will be close, closer than last week’s game but I see the experienced Saints edging out the 49ers. The Niners are definitely a team on the rise but they’re not a contender with Alex Smith at the helm. They’ll have their taste and Harbaugh will get his QB in the off season (Peyton Manning anyone?) and the Niners will be back next year but the Saints move on here. This has the potential to be the best game of the week. The Packers lost only once during the regular season but they are going to come in cold (pun intended) against a red hot Giants team. The Giants defense showed up last week and showed the rest of the NFL exactly what it is capable of. They can rush the passer and they can smother the other team’s running game. The Packers, however, are not the Falcons. The Packers offense is built much like the Saints, too many threats to take account for. They are deep at receiver with Greg Jennings, Jordy Nelson, Donald Driver, James Jones, and Randall Cobb. Jermichael Finley is a beast at tight end and they have Ryan Grant and James Starks coming out of the back field. I haven’t even talked about Aaron Rodgers yet either. He might be the best quarterback in the NFL right now. If not he’s certainly one of the top 3. He may run a dome type offense but Rodgers and co. call Lambeau Field their home so the temperatures in the teens won’t bother them too much. They can get defensive when they need to as well, see last year’s NFC Championship game in Chicago for evidence of that. The Giants won’t be scared of the cold either. Eli Manning is the guy who is always left out of the conversation. Whether it’s with his brother Peyton (he threw more yards this year than Peyton has in a single season his whole career) or with Tom Brady (he beat him head to head in a Super Bowl), or Rodgers and Brees (TBD) he always seems to get left out of those conversations, never put on the same level of those guys. He can beat any defense on the football field though if him and his guys show up to play. The trio of Victor Cruz, Hakeem Nicks, and Mario Manningham have the potential to cause fits for this Packers defense. The Giants will be able to pound the ball with Brandon Jacobs and Ahmad Bradshaw. The could be a problem game for the Packers. There’s a good chance that this one is going to come down to the very end. The age old question might come into play at the end of this game – who would you rather have playing quarterback at the end of the game, Aaron Rodgers or Eli Manning? The answer might come down to who has the ball last. I don’t know, I’m torn on this one. 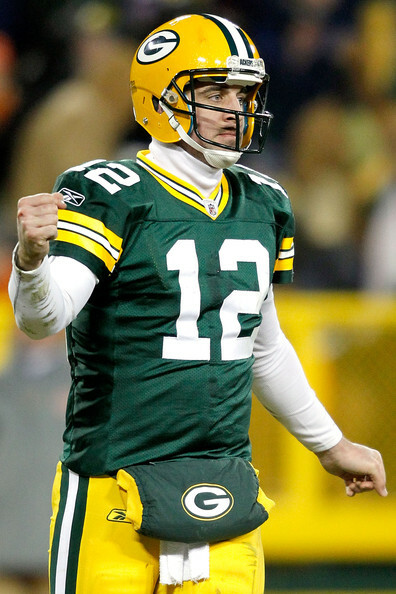 Is Green Bay a one and done? They might be, put I’m not going to pick against them.